No matter who you are, you’re going to find yourself wondering about your ex from time to time. You can’t help it. But we’re not all as lucky as Tom Cruise and Katie Holmes. They can just pick up a copy of People magazine to see what their ex is up to. (They don’t even have to buy it!) But the rest of us are all left imagining. Speculating. Trying not to care but still sort of caring. We can help. 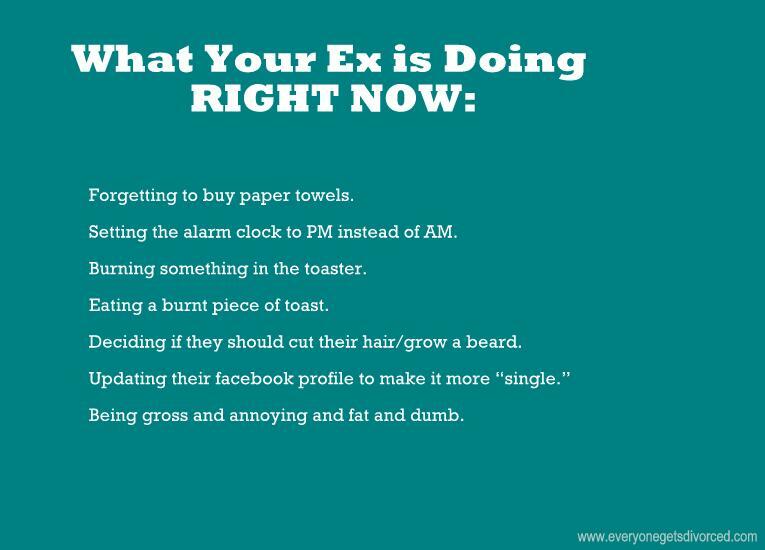 It so happens that we know EXACTLY what your ex is doing RIGHT NOW.